With a man made upper and breathable mesh lining these trainers are flexible and comfortable, the soft natural rubber sole ensures grip and provides a bouncy cushioning quality. 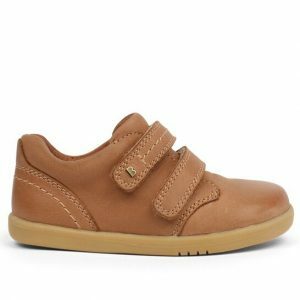 G2 Technology™ is specifically designed to encourage confident walking and help during the transition between those first few steps and your little one walking confidently by themselves. 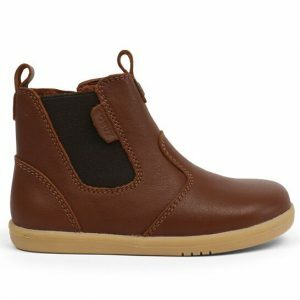 The shoes have a soft rubber sole with rounded edges which mimic the natural shape of a child’s foot improving heel stability and allowing toes to grip the floor. These trainers are super easy to keep clean and fresh as you can just pop them in the washing machine. The Dani’s are vegan friendly as they contain absolutely no animal products or by-products. 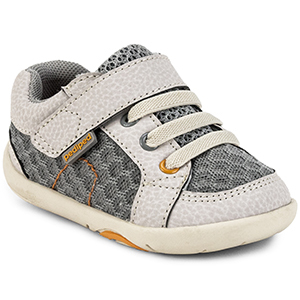 Super cute and sporty design with faux laces and easy Velcro fastening in a grey mesh design with white and orange detailing.